We print rip cards using high quality paper, ink, and coating finishes. 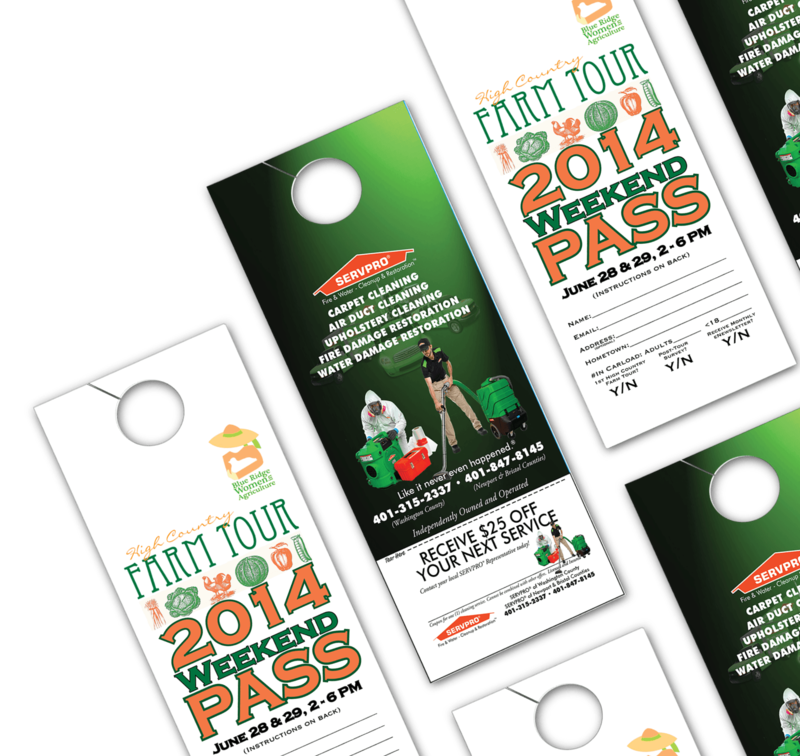 Add a special touch to your normal door hanger with a detachable rip card. PrintingCenterUSA makes it easy to order color rip card hanger printing with our fast online printing options. Our standard sized rip card hanger print options are a 3.5 x 8.5 with a 2 x 3.5 detachable card. Printed on 100# gloss text, 100# uncoated cover or 12 PT Gloss cover for digitally printed rip card hangers and our full color offset rip card hanger printing is available in the same paper with 100# gloss cover stock also available. Print rip cards on one or two sides and add UV coating for a shiny high gloss finish. Rip cards provide your customer to rip and take with them your business information, any coupons to use at your store, and anything you may want your customer to take with them. Use our instant online rip card hanger printing order form for pricing, ordering and to request a free rip card hanger sample to see our quality printing first hand. For more rip card hanger printing options call for a custom quote on different quantities, paper stock and size options.